I promise that your sacrifice will not be forgotten. Your service to this country and your dilligence will live on. My condolonces to the Horne family and friends. Another tragedy and we so often forget our brothers in the USCG. Hard way to be awakened to the fact that these brothers, too, are constantly putting themselves out there - for the rest of us! Peace and comfort to Officer Horne's family, co-workers, and unborn child. May God grant that child the knowledge of what a unique and special person her father is! My heart aches for your loss of husband and father. May God give you strength, peace, and comfort as you walk through the days and weeks ahead. Please know others hurt with you and will keep you in our prayers. As a former Coast Guardsman 5 years served, and a 31 year Law Enforcement veteran, I feel the loss....The Coast Guard provides so much to our Country in the way of SaR, environmental protection, as well as the Law Enforcement arm of the waterways. You served well, Chief...the lord needs you in the ranks of his Guardians...watch over us all...Semper Paratus! Rest well my brother for your sacrifice was not in vain. As you take the watch over us in heaven, we'll take care of it down here. May God bless the family physical, law enforcement, and Coast Guard with peace and comfort. Rest In Peace Chief Petty Officer Horne. You swore to protect your society comrade and gave your life in doing so. I am so sorry to hear of your passing, RIP brother. Rest in peace my brother. Evil will never prosper as long as brave men such as yourself stand for good. I hope in time your family and the Coast Guard find peace in your passing. There's a legend in the Coast Guard that has been retold for centuries. While the places and circumstances may be altered through time, the legend remains the same. One cold night a freighter was disabled due to high winds and towering waves. As the ship lay broken on the rocks they did the only thing they could do....call the United States Coast Guard. As the Coast Guard boat crew readied to launch, one excited civilian approached a grizzled surfman and told him that it was madness to go out into such huge waves. The Coast Guardsman gave a terse reply that has gone down into history. He simply said, "Regulations say that you've got to go out, but you don't have to come back." Thanks Chief Horne for keeping our nation safe. When confronted with you last call you did not waiver and bravely went out. You are a credit to all of us who have worn the Treasury Shield on our forearms. May you always have fair seas and following tides. My dad spent 20 years in the Coast Guard and if he were still with us I know he would send his sympathies. God speed and may your family find peace. My heart breaks for your wife & children. You were a hero by serving our country in keeping our coastal borders safe. There will not be justice on this earth for your killers but there will, one day, be justice. I pray for strength & support for your wife & for your children to grow up knowing their Daddy was a hero. May God's grace be with you during your time of grief. Please know that our thoughts and prayers are with you and we feel your loss and share in your sorrow. Bless Terrell for the sacrifice he has made to make a better life for the rest of us." 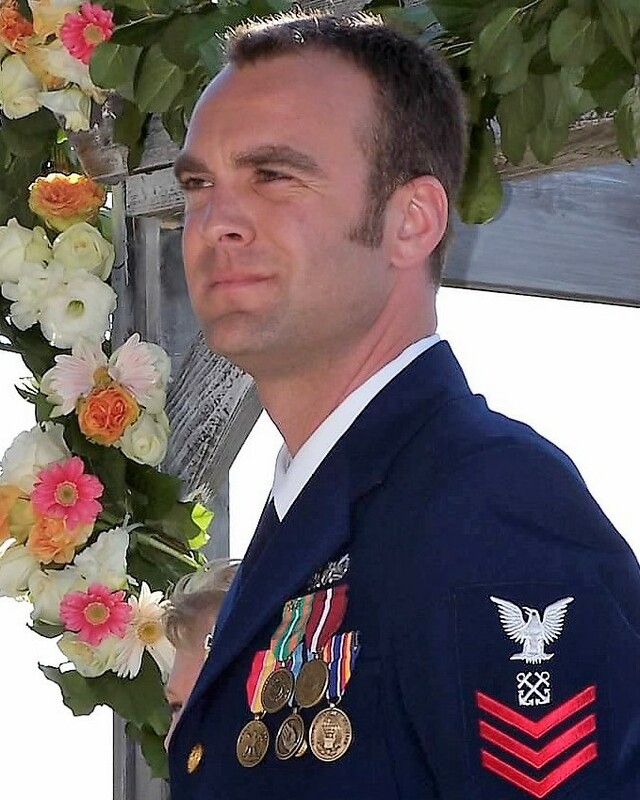 Rest in Peace, and my God bless your wife, children, and Coast Guard team mates. Rest in peace my brother and may god bless your family and Co-workers. RIP Brother. Thank you for your service. My thoughts and prayers are with your family and your partners. Thank you Chief for your service to our country. May God be with you, your family and you shipmates. Rest In Peace Chief! A Coast Guardsmen fFather and Police Corporal. Rest In Peace. May the Lord bring the peace and comfort your family desprately needs during this difficult time. Our hearts grieve with you and we are praying for the mercy of God to comfort and hedge you in. We are forever grateful for CPO Horne's sacrifice for the safety of our nation, and we will never forget.